Sometimes as a Vegetarian it is hard to know which products are truly Vegetarian and which are not. I often refer to the Vegetarian Society website to see whether goods are Veg Society Approved or not. Veg Society Approved products mean that consumers can buy goods with the confidence that the product is truly vegetarian. There are over 5000 Veg Society Approved products in the UK and today I am featuring one of them, the Retar DEX Oral Health Care Range. 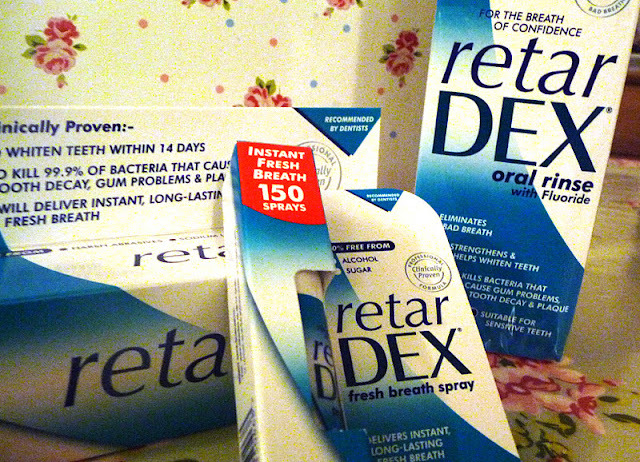 The RetarDEX Oral Health Care range includes a Toothpaste, Spray and Mouthwash. All of the range contains an active ingredient which has been clinically proven to eliminate odour and bad breath, just one 30 second rinse with the mouthwash causes at least 8 hours protection. RetarDEX is free of sweeteners, sugars and sodium lauryl sulphate. The oral rinse is clear and the flavour is not unpleasant. As well as offering protection and eliminating odours, RetarDEX products have been clinically proven to whiten teeth in just 14 days. They also strengthen enamel, freshen breath, and act as a preventative measure. 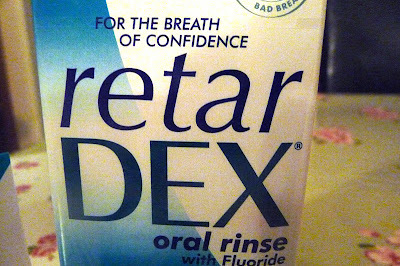 RetarDEX mouthwash actively removes stains and kills bacteria which can cause tooth decay, gum problems and plaque. Although I am not a big fan of the name, I have been using the products for around two weeks and I am very happy with what I have seen so far. 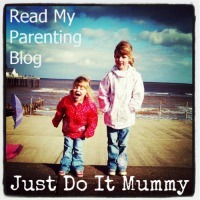 My teeth do feel cleaner, and the products do feel like they are making a difference. I would need to keep using the products for longer to see whether they do make a marked difference but it's nice to find a product which does what it says on the tin and is also Vegetarian. RetarDEX Oral Rinse is priced £5.10 (250ml) and £8.15 (500ml) and is available from Boots, Superdrug, selected Sainsbury’s, Tesco, Waitrose, Booths, Superdrug, Ocado.com and all good pharmacies and dental surgeries. 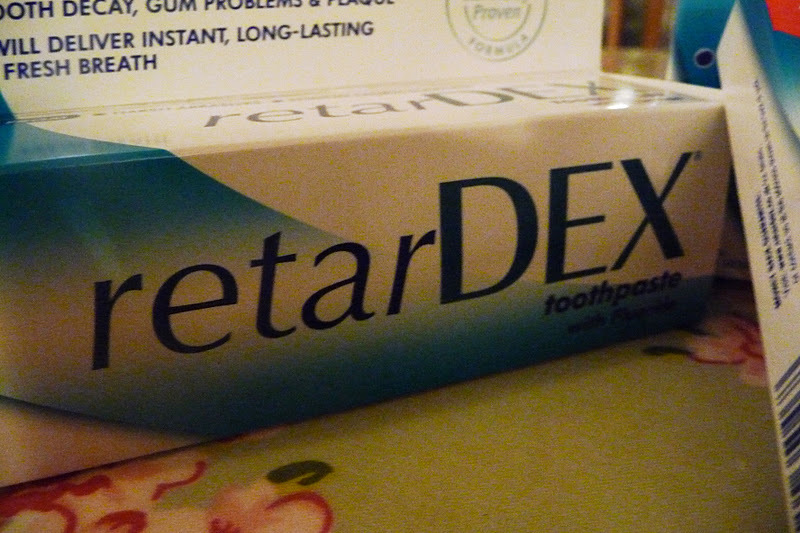 RetarDEX Toothpaste is priced £6.15 (75ml) and is available from Boots and selected Waitrose, Tesco, Booths, Ocado.com and all good pharmacies and dental surgeries. Disclaimer: Products offered in consideration for review.